A spiked peach tea cocktail recipe which tastes just like the dessert peach cobbler! The smell of warm peach tea screams dessert. While I was experimenting with drink recipes, I knew I had a winner when the flavor tasted just like peach cobbler. Amazing!! The inspiration for this recipe came from my peach iced tea. 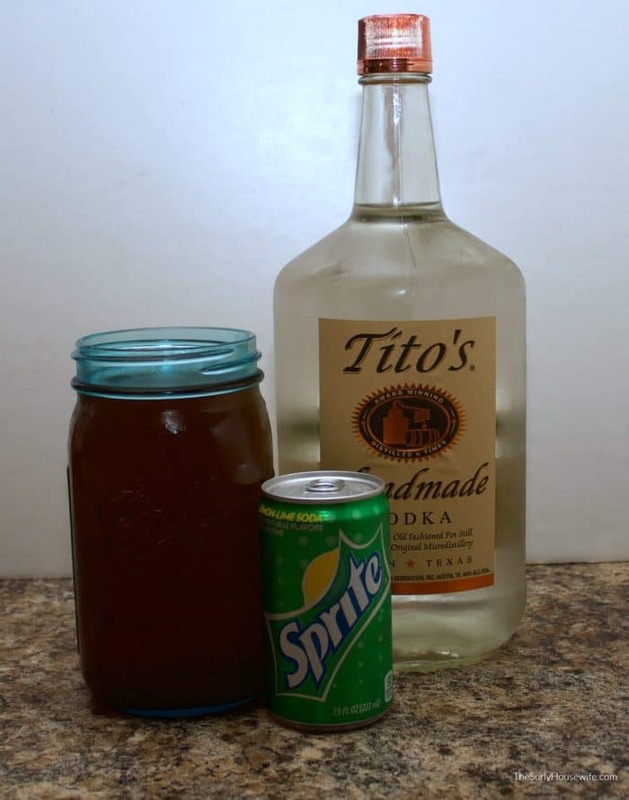 When Kate posted her recipe she mentioned you can add liquor to make a cocktail so I started experimenting. Even though the tea and the booze was good together it needed a little extra umph. The solution to any problem you are have when creating a drink is carbonation. In my opinion, it takes any cocktail over the top. Lemon lime soda is usually my go-to mixer when it comes to cocktails. It has the right on the sweetness, it isn’t overpowering, and the flavor is complementary to pretty much any drink you’re going to make. Once you have made the peach tea concentrate making this cocktail is simply a breeze. 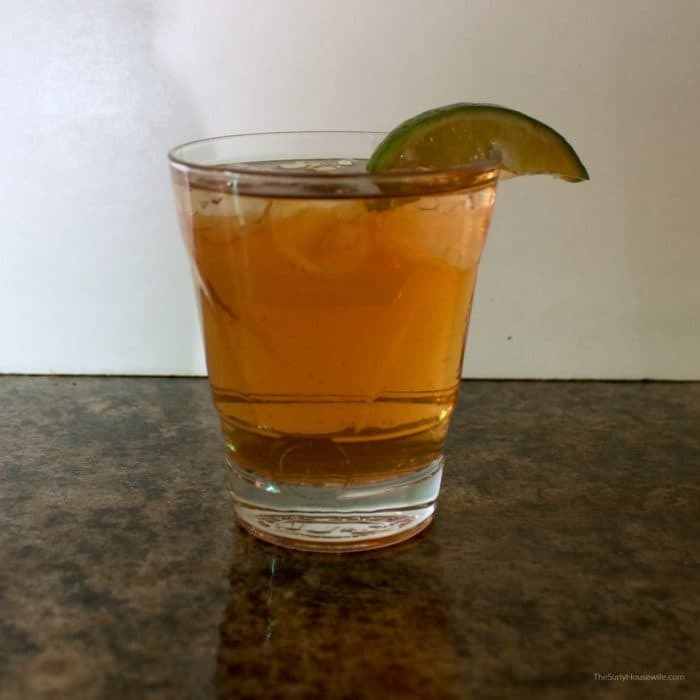 Start out by measuring shot of vodka, add some ice, add the concentrate, and top off with your lemon lime soda. It’s so simple!! And it’s quick because I always have the ingredients on hand. I have to have Sprite for our Friday brandy old fashioneds! And I always have iced tea in the fridge for my husband’s lunches. 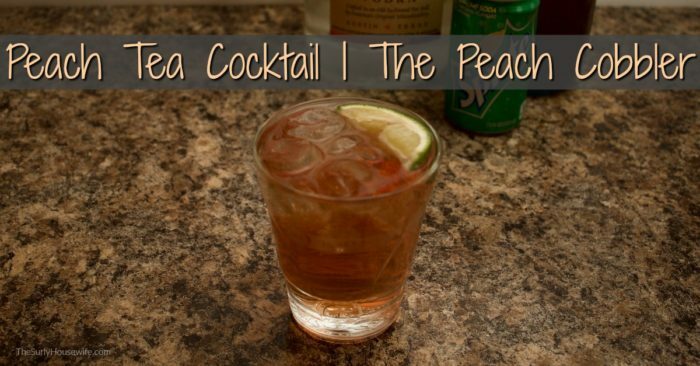 If you love peaches you are going to love this cocktail. Using vodka allows the flavor of the peach to come through. The carbonation of the soda along with its sweetness combines to make the flavor of a peach cobbler. And like I said about every cocktail I make, the hardest part is only having one. 3. Add 4 oz of peach tea concentrate. 4. Top off with Sprite/Lemon-lime soda and enjoy!